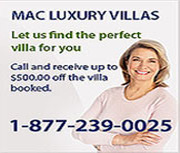 MAC Caribbean Villas - Luxury villa rentals in Anguilla, St. Bart's and St. Martin / St. Maarten. Acamar is a newly built, luxury villa located on Toiny hillside. Adage is located in Pointe Milou, close to the Christopher Hôtel. Adamas is a new villa rental, located on Saint Jean hillside. Alizé d'Eden is a villa rental in St. Bart's located on the hillside of the greatly prized estate of Pointe Milou. Alouette is a very nice Caribbean villa rental in St. Barts, perched on the hillside of Vitet. "Always" returns to the rental market completely transformed into a fabulous 6 bedroom contemporary beauty. FOR SALE - PRICE REDUCED! "Always" returns to the market completely transformed into a fabulous 6 bedroom contemporary beauty. Amancaya is one of our preferred luxury villas for rent in St Bart's! It is one of the most spacious and private. Two villas being sold together - Ambiance and Lune de Miel. Angelique is an amazing 4 bedroom villa located on the hillside of Saint Jean. Apiano is a charming holiday house. Located in Grand Fond in Saint Barts in the French Antilles. Location : Simpson Bay Lagoon	Size : 3 bedrooms View : Simpson Bay Lagoon. Armor is located in the greatly prized private estate of Mont Jean, close to Pointe Milou area in St. Bart's. Arrowmarine is one of our most popular luxury villa rentals in St. Bart's - one of the most requested and appreciated villas! Art is a pleasant holiday villa rental ideally situated in the private estate of Roc Flamands in Flamands in St. Bart's in the French Caribbean. Avenstar is a magnificent luxury villa rental in Camaruche in St Barts in the French Caribbean. Aventura is one of the most attractive villa rentals situated in the private estate of Roc Flamands in Flamands in St. Bart's in the French Antilles. Bali is one of our two bedroom luxury vacation rentals that is the most requested, and one which we highly recommend. Beautiful deluxe villa within walking distance of Orient beach... the St. Tropez of the Caribbean. Villa Bellissima, located on the heights of Gouverneur, is an extraordinary 3 bedroom villa. Bijou is a two bedroom villa located on the hillside of Flamands. This spectacular villa was just completed and is located on a hill overlooking beautiful Sandy Hill Bay with a path leading to the beach. Blue Horizon is a new villa available for rent, located in Camaruche hillside, close to Lorient in St Bart's. Blue palm is a beautiful 5 bedroom, ultra-modern villa just steps away from the fabulous white sand beach of Plum Bay (directly across the street). Casa Blanca is a charming 2 bedroom villa located on top of the hill offering a view over both Grand Cul de Sac and Petit Cul de Sac. Surrounded by lush tropical vegetation the villa has a large infinity pool, a spacious terrace with outdoor dining area and a charming gazebo built into the hillside. Location : Beachfront, Terres Basses	Size : 6 bedrooms View : Baie Longue, Caribbean Sea, Saba. Castle Rock Villa is the ultimate luxury villa on St Barth's. Chambord villa is located on the hillside of Petit Cul-de-Sac in a 9.89 acre green space. Stylish and spacious villa with dock on the lagoon in Point Pirouette on St Maarten. A luxurious 5 bedroom home located in Anse Marcel, commanding stunning views over the bay and marina. Del Mar has contemporary décor with a retro touch. One of our most spacious and most requested villas, with beautiful ocean views of Gustavia! Location : Terres Basses	Size : 3 bedrooms View : Simpson Bay, Marigot, Ocean. A dive into luxury in St Martin. Brand new to the rental market, Greystone is a beautiful French Caribbean-style villa surrounded by lush tropical gardens. Habitation St Louis encompasses all the charm of St Barth\'s. Location : Terres Basses	Size : 4 bedrooms View : Baie Longue, Caribbean Sea, Saba. Imagine is a brand new villa overhanging the blue lagoon of “Grand Cul de Sac”. Villa Interlude is an elegant 4+1 bedroom, located on Baie Rouge beach offering gorgeous views of the ocean. Beautiful 5 bedroom, 6 bathroom villa located on the waterfront of Simpson Bay Lagoon. Private dock included. Upscale & Modern penthouse in Las Brisas with a fantastic view. Kashmir is a one bedroom, one bathroom condo on Nettle Bay Beach in a gated residence. This property has recently been completely renovated. Kyody is situated on the heights of Marigot, with a magnificent view of Grand Cul de Sac and the ocean. Located on one of the most coveted stretches of beach in St. Martin, on Baie Rouge, are the 3 beautiful properties of La Perla Collection. La Vigie is a 4 bedroom villa located on the cliffs with a fabulous view over St. Jean Bay. Les Sables is a beautiful villa located right on Lorient Beach. Villa Louis... a lover\'s nest on St Martin! With its sweeping sunrise views of the ocean from Tintamarre around to St. Bart's, Mango Villa is the ideal vacation getaway. Matajagui is located on Flamands hillside overlooking the ocean. Open Space is located on the hillside of Petit Cul de Sac. Pajoma is a very beautiful villa located in Lurin, approximately 5 minutes by car from Gustavia. Palm Springs is spacious, private villa with chic, contemporary décor. You will be astonished by the amazing sunset ocean view! Phoenix is a villa located in Pointe Milou facing the ocean and the sunset. Les Raisiniers is a small cottage located on Flamands Beach. Flamands Beach is the largest beach of the island, and has some great beach-front restaurants. Directly overlooking the ocean and right across from the Eden Rock Hôtel, Reefpoint is a beautiful contemporary 3 bedroom villa. A beachfront Lover\'s Nest on St Barth\'s! Roc Flamands 8 offers gorgeous views of the beautiful beach of Flamands on St Barth's. “Roc Flamands II” is located on the heights of Flamands in the private community of “Roc Flamands”, a community of 14 private villas. Welcome to Sea Vous Play! A fantastic waterfront villa with classic Caribbean style. Sitting on .83 acre Sea Winds is well designed with an open living room, dining room and kitchen. The Shutters on the Beach Villa was completed in 2009 and was constructed by French architects and designers from St Bart's. "Extraordinary Villas for Extraordinary People", the philosophy of MAC Caribbean Villas is concentrated in this outstanding villa! Ski Beach is a charming beachfront apartment, located in the Nettlé Bay Beach Club Residence. Ski Beach is fully air conditioned, has WiFi and French cable TV. Brand new, ultra modern 2 bedroom villa situated in the heights of Orient Bay with a spectacular sunrise ocean view over Tintamarre and St. Barth. This beautiful beachfront 5 bedroom villa is located in the quiet area of Beacon Hill overlooking Burgaux Bay. This beautiful villa sits on the Isaacs Hill in the Long Bay area and is across the road from the new entrance to St. Regis/ Temenos. Cozy 4 bedroom, 4 bath villa in the hillside of Terres Basses. Overlooking the beautiful beach of Anse Marcel, Thi Majaste Villa is the perfect location for a honeymoon or an intimate vacation for two. Villa “Tichka” will captivate you! Topaze, the beautiful little sister to Turquoze, and has 3 bedrooms with stylish contemporary décor. Turquoze, the beautiful big sister to Topaze, is a beautiful contemporary 4 bedroom home nestled in the hills above Orient Bay. Located in the peaceful part of Vitet, Valley is a contemporary 2 bedroom villa dominating the valley of " Grand Fond " and the ocean. The Villa Kai is a new villa completed in 2016 and located in the Sandy Hill/Long Pond area in the southeastern area of Anguilla. Villa Nita - with its retro 60s décor - is very stylish, has a superb view, and a convenient, central location in Lorient. Villa Om is located in the exclusive, private, gated community of Montjean. Villa Ted located in the beautiful surroundings of Dévé, has a stunning panoramic view of the over Grand Cul de Sac and the island of Tortue. The Wesley House is located on the eastern end of the island overlooking the Savannah Bay. This house is 4,000 square feet of indoor/ outdoor living. West View is a contemporary 4 bedroom villa overlooking the bay of Saint Jean and located just 5 minutes drive from the beach of St. Jean, shops and restaurants. Wine Note is a spacious 5 bedroom villa located on the hillside of Saint Jean. Wings is a truly villa of superlatives! Located on the hillside of Saint Jean, this extraordinary brand new villa has a sweeping view over the Saint Jean Bay. © 2019 Caribbean Luxury Villa Rentals | Beach House Rental - Maccaribbeanvillas.com. All Rights Reserved.